At its 2017 Partner Summit in October, WilsonPro hosted a Special Keynote Panel featuring guests from Verizon, US Cellular, RCR Wireless, and TESSCO. During the panel, “Enterprise Cellular Connectivity: In-Building Signal Solutions for Improved Operational Efficiency,” experts discussed key challenges and trends around building cellular connectivity. While the onus was formerly on carriers alone to improve the cellular infrastructure in buildings, that is no longer the case. That trend stopped over the last several years, however. “Now they still need in-building coverage and they can’t wait for the big carriers to come in and do that so there has to be another solution,” Moten said. For Moten’s part, he said TESSCO support hundreds of thousands of customers that need this coverage, and that the company relies on WilsonPro cell signal boosters, particularly for those buildings that are in the 200,000-square-foot or lower range. 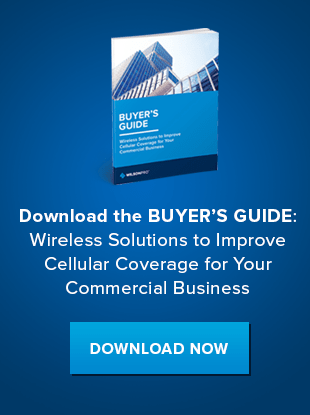 Addressing the issue of improving coverage comes down to awareness, according to Scott Scheuber, Director of Product Management for US Cellular. Identifying the solution needs in terms of basic coverage and other facilities, and generating awareness around in-building solutions, he said, is key. It’s essential that customers understand what their options are, according to Eric McClanahan, Manager of Network Solutions & Systems for Verizon. McLanahan said Verizon views its network as “the great enabler” and is therefore heavily invested in cellular connectivity solutions. To that end, he said, Verizon will not draw a line as to where carriers stop picking up the tab for solutions. Verizon handles connectivity issues on a site-by-site basis and communicates to its customers that while going directly through the carrier is one way to improve coverage, there are also others, including cell signal boosters. Moten reminded attendees that it wasn’t that long ago that cell signal boosters had a “bad rep,” and that some of that mentality still persists. This can make it difficult to get the customer buy-in on these solutions. To that end, traditional and active DAS still has a larger marketshare than passive DAS solutions. These types of boosters would shut down entire cell towers and Moten said that left consumers skeptical. As that ruling becomes more established, he said, the mindset will continue to shift. Today’s cell signal boosting equipment is more network friendly than ever, and carriers are embracing it for both in-building and in-vehicle coverage, panelists said. The momentum is building that this is a real solution to the problem. The continually growing partnership between carriers and solution implementers is also key. “It’s about trust from a carrier perspective — it’s about a partnership,” McClanahan said. Ultimately, the success of in-building solutions will depend on the continued cooperation and partnership of carriers and solutions providers. Lancaster said there are 5 million commercial buildings in the U.S. and that 98 percent of those are less than 200,000 square feet — the size for which passive DAS cell signal boosting solutions are ideally suited. If you’d like to learn about WilsonPro cell signal booster solutions contact us today. And if you’d like to see the entire panel event from October, you can watch the video here.